I have known all my life that I was an Aries, but that was the extent of my astrology level. It was not until I developed an intense crush that I started to explore astrology to learn about the other person. During my research I found out way more about myself than I imagined. For example, I have Pluto conjunct my Ascendant from the 12th house, Mars conjunct Chiron in the sixth house, Saturn in fifth house. My Aries Sun is in my eighth house, my Cancer Moon is in my eleventh house and I am a Virgo Ascendant with North Node also in the first house. I am also an air void. For those that are new to Astrology these terms will be explained further within the site to assist you in understanding your own chart and transits. For many people they first come to astrology to explore their compatibility with another person, which is known as Synastry. They find out someone’s birthday and want to see their chart to know if the other person likes them and how they would fit as a couple. I am a student of astrology ~ gaining insights daily on transits, aspects, charts, midpoints, elemental voids, eclipses, solar returns, retrogrades, stelliums, house systems, nodal axis, horary events, void of course moons, draconic charts, antiscia, anaretic degree and much more. Astrology is a very complex and fascinating subject. It is my desire to share from my experiences and studies on this site. 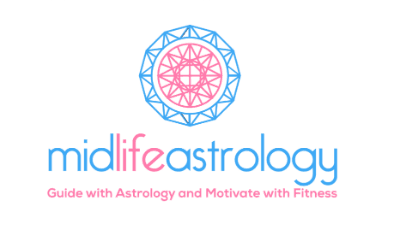 Welcome to Midlife Astrology ~ I appreciate you stopping by and looking around. Feel free to subscribe, check out the Instagram page and drop me a note with any questions you may have.